The winter holidays—regardless of how, or even if, you celebrate—share themes inherited from solstice rites, when folks would see the sun getting small and do whatever they could to summon it back. Song, dance, fire—even boughs of evergreen—predate today’s Hanukkah, Christmas and Kwanzaa conventions. These days, holidays also mean chocolate, eggnog laced with whiskey or rum, and of course, shopping. From chocolate-filled advent calendars to foil-wrapped Chanukah gelt, sweet treats take center stage during the holidays, a time when many family traditions are built around food. Maryland candy makers—both old and new— make it easy to carry on those traditions with a local twist. For 30 years, Albert Kirchmayr, the owner of A. Kirchmayr Chocolate in Timonium, has made beautiful chocolates, including chocolate Santas that are perfect stocking stuffers. 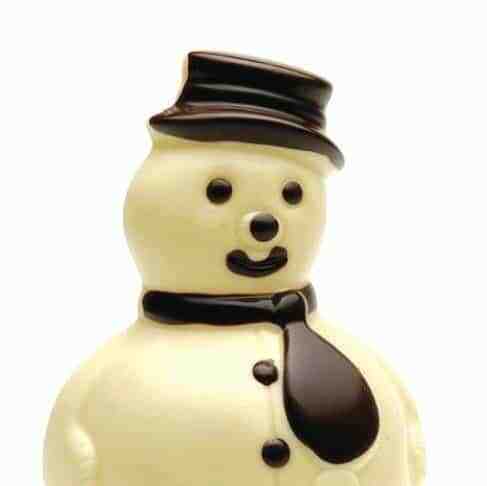 The secret to great chocolate, he says, isn’t really a secret at all: It’s all about freshness. Freshness is also a key element of the candy selections at Charm City Chocolate. Owners Michelle Deal-Zimmerman and Todd Zimmerman make their confections in the lower level of their Hampden shop then sell them on the main floor. During the holidays, they sell special treats like hot chocolate sticks (sticks of chocolate that can be stirred into hot milk) and peppermint bark, as well as mixed “sampler” boxes. “A lot of people remember their grandparents or parents having a one or two-pound box [of chocolate] open on the table for Christmas Eve celebrations or on Christmas Day,” says Michelle Deal-Zimmerman. 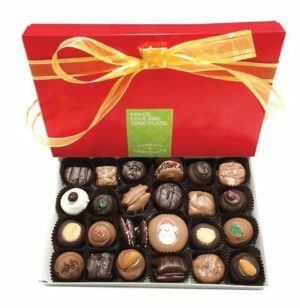 Charm City’s boxes often include “family favorites” like vanilla creams and chocolate creams and buckeyes, a chocolate- covered peanut butter ball that is a delicacy with roots in Pennsylvania and Ohio. Charm City Chocolate is a relative newcomer on the local candy scene; it opened in 2016. On the other end of the spectrum, Baltimore’s Goetze’s Candy is celebrating 100 years of its iconic Caramel Creams this year. This time of year, the company offers special holiday tins filled with candy; they’re Maryland tradition in a tin. Family tradition is also big for Zoe, Patelis and Petros Tsoukatos, the siblings and third generation chocolate-makers behind Zoë’s Chocolate Company. The Tsoukatos siblings, who have shops in Frederick and Waynesboro, Pennsylvania, were inspired to open the company by their great aunts and uncle, who sold chocolate out of a pushcart after emigrating from Greece to Baltimore. Today, the sibs make a variety of sweet gifts perfect for holiday sharing, including a fondue kit and Chanukah-themed chocolates. Chanukah season is a busy time for Ruthie Carliner, owner of The Velvet Chocolatier in Stevenson. Carliner makes fun milk and dark chocolate “breakaway bars” that list the days of the week in Hebrew and all the items she makes, from truffles to barks, are certified Star-D kosher. 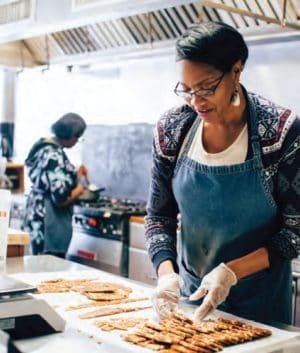 Natasha Wainwright, owner of Baltimore-based Natasha’s Just Brittle, notes that her confections are part of both individual family traditions and part of a larger tradition in American cooking.